EuroChocolate is the largest and most famous chocolate festival in Italy, drawing more than a million visitors to the Umbrian hilltown of Perugia each October and crowding this normally sleepy provincial capital with hordes of the passionate and curious. The city of Perugia has been associated with chocolate since the Perugina candy company (makers of the famed Bacio hazelnut and chocolate candy) was founded there in 1907. 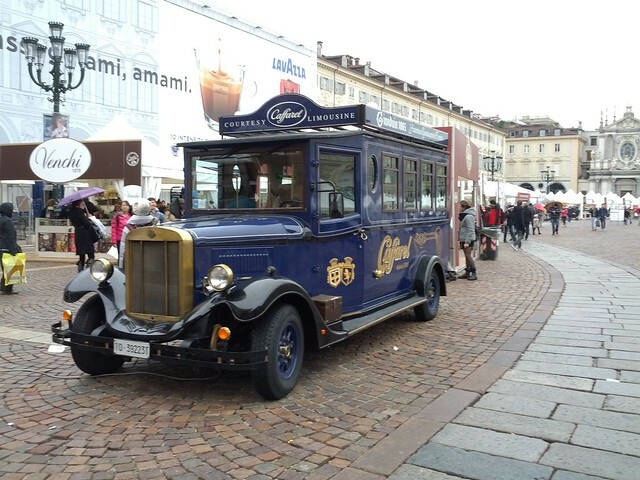 Eurochocolate focuses on a theme each year, and the city streets are lined with outdoor stands where chocolate and candy companies from across the world sell their wares, and chocolate and cooking workshops are held across the city. There are often concerts scheduled during the festival dates, tying in the other famous annual festival held in Perugia each summer: Umbria Jazz. One of the most popular events during the festival is chocolate sculpture, when artisans carve huge blocks of chocolate into sweet statues and the chocolate shards are shared with the public. Turin is the birthplace of Nutella, created by Pietro Ferrero in the mid-20th century, but the relationship between this capital city in Piedmont and chocolate dates back to when the it was the seat of the royal Savoy family and an elegant and wealthy aristocratic hub. 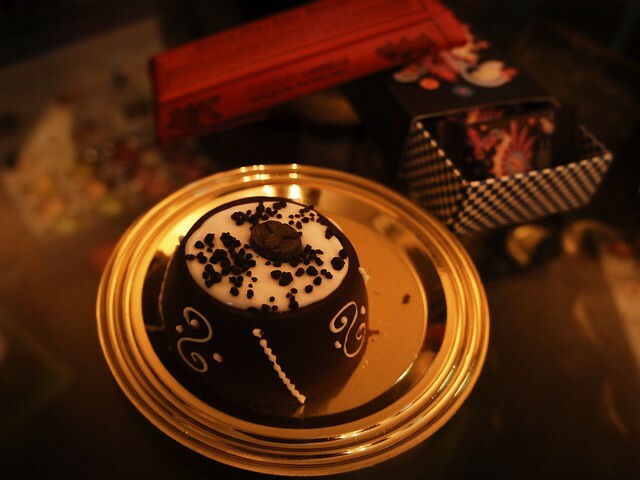 Home to gianduja, a smooth chocolate and hazelnut paste that can be used as a spread, filling, or candy, and bicerin, a rich coffee and chocolate drink, the city is a haven for chocoholics. No more so than in mid-November, when it hosts the CioccolaTò festival in the central Piazza San Carlo. Started in 2004, the festival is a combination of the Italian word for chocolate – cioccolato – and the Italian name of Turin – Torino. Italian chocolatiers gather to offer free samples and wares available for purchase, alongside chocolate contests and workshops. Bologna is so famous for its rich cuisine that the city is known colloquially as La Grassa, or The Fat Lady. For more than a decade, the city has joined the ranks of those celebrating chocolate with its Cioccoshow (https://www.cioccoshow.it/), its annual chocolate festival that takes place for three days each November with chocolate makers from across Italy on hand to show off their latest creations, chocolate workshops and demonstrations, and contests. The Sicilian city famous for its unique chocolate holds its own ChocoModica festival each December, with chocolate vendors and workshops, and music and art events. Modica its known for its exceptional local chocolate, which is made by a process based on an Aztec recipe that gives it a grainy texture, and is recognized as a certified traditional local product. Visitors to the festival can sample this local specialty and see how it's prepared by taking a guided tour of local chocolate workshop...but be prepared for the crowds, as over 100,000 people generally attend the festival. 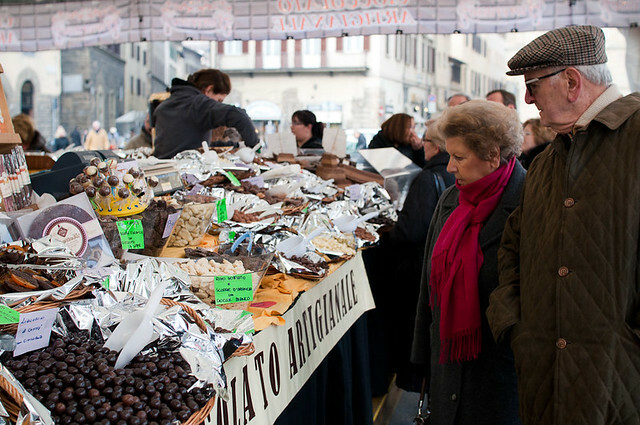 Since 2004, the most famous city in Tuscany has held its Fiera del Cioccolato Artigianale (Artisanal Chocolate Festival) in February, dovetailing perfectly with Valentine’s Day and Carnival. Piazza Santa Maria Novella fills with Italian chocolatiers hawking their wares, and true aficionados can join workshops and cooking classes. As in Perugia, one of the biggest draws of the festival is the chocolate sculpture competition, when large blocks of chocolate are carved into a variety of statuesque forms and chocolate shards are shared with the crowd.